Sentul International Circuit is a permanent motor racing circuit located in Babakan Madang, Bogor. Away from the Toll Gate of Jakarta towards Bogor, Indonesia. Its pit facilities got easy access from the Jagorawi Toll Road. The course (run clockwise) is actually a truncated version of the original design. The current circuit, shortened by 40 percent compared to the original design, is predominantly used for motorcycle racing and the Asian F3 series. 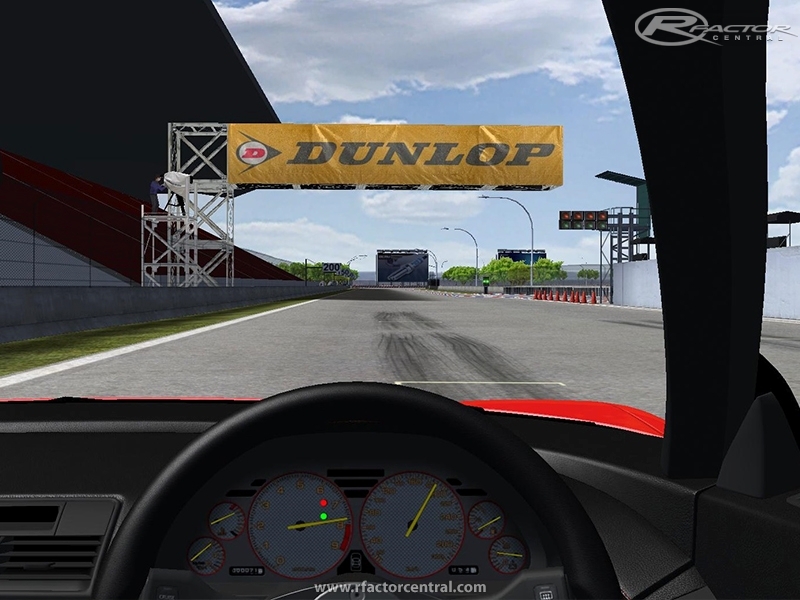 Sentul is a relatively simple, smooth, broad track with large runoff areas, enabling non-bumpy and smooth driving at racing speeds. Sentul has a 900-metre (3,000 ft) main straight that allows speeds of up to 300 kilometres per hour (190 mph) before slowing for the right-hand Turn 1. The only truly high-speed corner at Sentul is Turn 2. The fastest driver on four-wheel machine can do 220 kilometres per hour (140 mph), and the fastest rider can do 190 kilometres per hour (120 mph) on two-wheel machines. They can take Turn 2 as a complex "S" bend when they get out from the tighter Turn 1 at around 140 kilometres per hour (87 mph). The wide corners allow good passing with various racing lines. Sentul is located in Bogor Regency. It is a hilly area and a bit cooler than the tropical city of Jakarta. However, the track can still get extremely hot under direct sunlight. It is also humid and wet as well. Such characteristics cause distress to European tuners, riders and drivers who are accustomed to cooler climates. There are currently no setups for Sentul International Circuit. Add a Setup. When I saw the track map I thought great, someones done the TT course, very disappointed to find it wasn't. Enjoy the fun and: Keep Racing!I have drived a complete F1 1955 Season of rFactor and the I think: "Why is only the Mercedes selected. And then I had painted the Mercedes in a Ferrari but then I think: "Why I don`t make all Teams of this Season?" And here it is! All Teams+private Teams with the new Sounds by Wolfer! waaah,akhirnya ada juga sirkuit Indonesia di Rfactor. Why is this called v1.000 and the file linked to is named Sentul_087_rfactor.rar? When the past car to the stands, The turn is not counted !!! Thank you for to see the problem and congratulations for this superb track.